Engineering design is the planning process where engineers identify and solve issues. It starts from conversation with customer. Software is secondary. 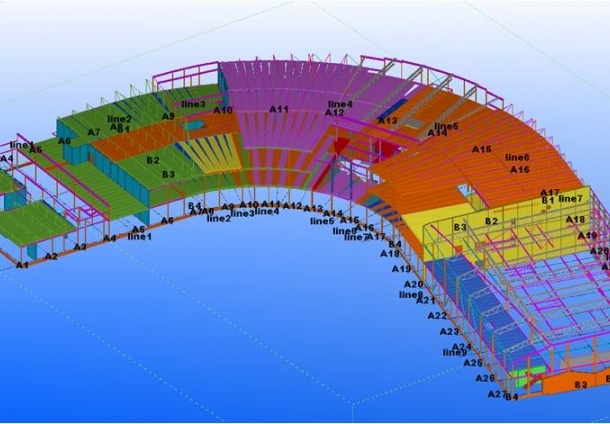 Nevertheless, 3D modeling software enables us to understand the project better. To describe the issues and to achieve better planning quality. Most of our engineers has an extensive experience of work in Sweden. We practice informal atmosphere and are lead by strong team spirit. Engineers has comprehensive understanding of international standards and codes for buildings and can adhere to the standard of your choice. From standards of Swedish annexes of Eurocode to standards of coffee breaks during the process. If your project is handled by our engineers you can be sure it will be professionally executed. We want everything as last time”- this is what we want to hear from our Clients and our assembly teams will try to do it even faster than that. We are confident in our installation teams, their experience, flexibility and communication on site. All our your important deadlines will be reached, the process will be predictable and controlled. All types of worker certificates, contract with the labor union, clear and fair wages is essential.